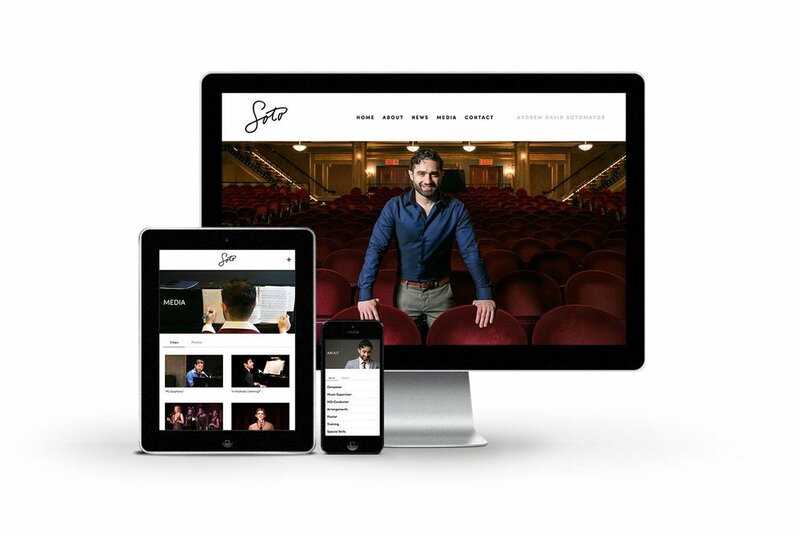 Another amazing collaboration with creative guru Tony Howell: the new branding and web presence of award winning Broadway compose Andrew David Sotomayor. The session included capturing him hard at work practicing and composing, in the seats of a prominent theater on Broadway, and in studio on a deep gray background. The images are used strategically in his new website...have a look!